Pepo Pumpkin IPA at Element Brewing in Millers Falls. Hunter Styles photo. 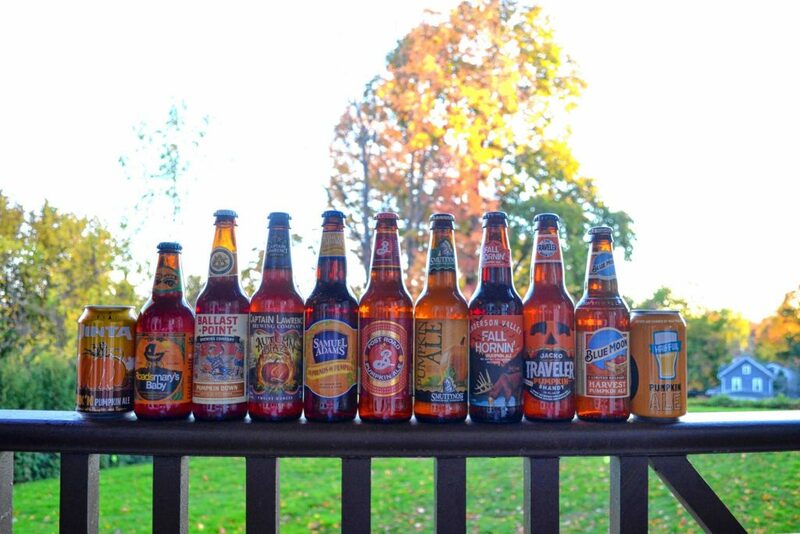 When I think back to last fall, and the dozen taste tests I did of pumpkin-flavored beers, my tongue conjures flashbacks of bad and bewildering brews. What can I say? I’m a glutton for punishment. Or maybe I’m an optimist, holding onto a hope that there are pumpkin beers out there that don’t taste like thin perfume, cloying candy, or bitter-tinged pumpkin guts. To be fair, last year’s search unearthed a few solid options. I enjoyed the Punkin Ale from Dogfish Head in Delaware — a creamy dark ale with some nice brown-sugary richness. I also conceded that the rather earthy, wheaty pumpkin ales from Long Trail Brewing Company in Vermont and Harpoon Brewery in Boston were nothing to cry about. On the other hand, some pumpkin brews last year were flat, acrid, too medicinal, over-honeyed, and watery. So, this is always a bit of a rollercoaster. I try to stay local when possible, but Valley brewers seem hesitant to make pumpkin beers — more so than the large national brands, at least. I’ve tried a few from further away that aren’t half bad — Wandering Star in Pittsfield and Wormtown Brewery in Worcester have put out nice takes on the pumpkin ale recently — but I was delighted to find a great one close to home, in Millers Falls. 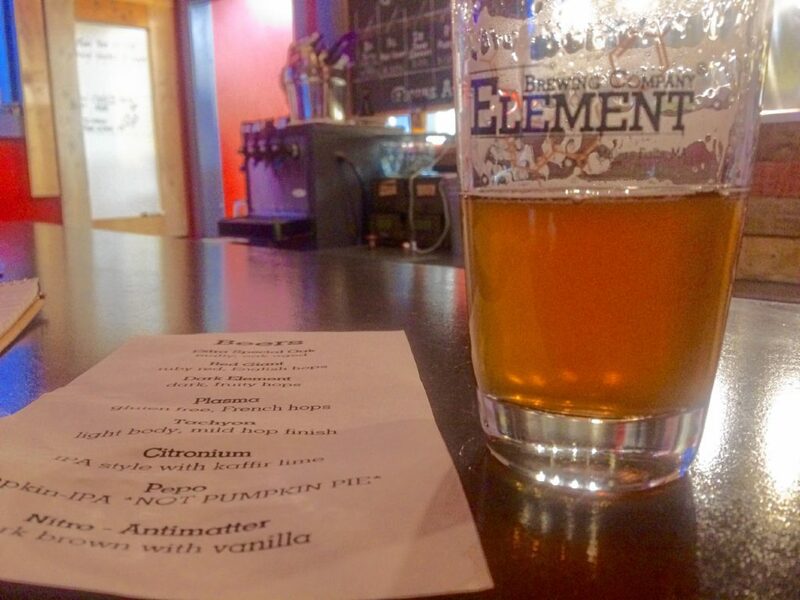 Element makes Pepo IPA with roasted pumpkin puree and completely skips the pumpkin spices (usually cinnamon, ginger, nutmeg, clove, and allspice). It’s just a fresh, damn good beer, with Centennial hops sourced from Four Star Farms in Northfield and added to the brew just a few hours after harvest. The squash adds body, while the sugar and sweetness is basically fermented out. Enjoy handing your friends a glass of this and, after they smack their lips with pleasure, revealing the big secret: it’s pumpkin, and it’s delicious. Hitchcock is under a year old, but the brewery (run on the grounds of an established local hopyard) is already turning out really solid beers. This full-bodied and well-rounded seasonal pumpkin ale is made with fresh ingredients (namely sugar pumpkins and butternut squash roasted over a hardwood open grill, then mixed with cinnamon, nutmeg, and fresh ginger), and it shows. It always bears repeating: flavoring can’t save a weak beer. Fortunately, Ballast Point conceived of its pumpkin beer as a variation on its Piper Down Scottish ale, which is bold and malty and well-crafted through and through. No need for overpowering pumpkin or spice when the base is this good — which is why the seasonal flavor here settles in as a pleasant accent. This orange-brown sessionable ale is made with real pumpkin and just a bit of spice, and it’s got some of the most full and honest fresh squash flavor out of all the contenders here. It’s a little sweet, a little rooty, and a little roasty. In other words, it takes like it’s built out of real food, not flavoring, making it a nice evening treat — but not so sweet as to be dessert. This dark amber brew is midway along the sweet scale, and compared with its peers, it’s a little pushy with the spices. Drink more than half a can of this one, and you’ve pretty much tricked your stomach into thinking you’ve just downed a large slice of pumpkin pie (hey, could be worse). This brewery’s name indicates some rosy thinking, and I do think they’ve earned a bit of pride with this one, which goes down easy and satisfies. For a beer named like a heavyweight, I was pleasantly surprised that the pumpkin flavor here is tempered and straightforward, with no saccharine overload. It’s not very spicy, either — which helps to ensure this beer drinks easily and feels well-balanced. I can’t say I’m wowed, but I’d happily drink a whole one. In fact, I did. Slightly squashy, and the nutmeg, allspice, and cinnamon are mostly balanced (no real sign of ginger or cinnamon here). Just enjoy that moment of flavor while it lasts, because it’s gone toward the end of the sip, leaving a slight impression of honey. This one isn’t so bad. It’s fine. But coming off as merely inoffensive isn’t much of an achievement for a beer that insists on donning pumpkin clothes. This beer bottle is very excited to have arrived in your hand — its label proclaims that the contents pack “a ton of flavor into a malty and smooth amber ale with the aromas of fall.” And I get the point about aroma, because this is all aroma, with almost no body to it at all. There’s nothing especially wrong with any of the elements here, but it doesn’t add up to anything. This one’s forgettable and, somehow, less fun to drink as it goes along. Sure, it tastes like a candle, or mediocre Halloween candy. But darn it, Traveler committed to this one as a guilty-pleasure bottle of sweetness. And honestly, it’s not terrible — just don’t drink this if you want an actual beer. The Traveler Beer Company started in 2012 as the House of Shandy Beer Company (a shandy is beer mixed with a non-alcoholic drink, like lemonade) so, clearly, this isn’t for purists of any sort. But if sweet is what you crave, this is likely the best option. Blue Moon’s riff on the pumpkin is creamier and a little more buttery than the other beers in this series. It also has a slight bitterness to it, which helps to cut the thickness a bit. But it finishes too thin, leaving little impression. My mother, having sipped this one, described it as “slippery” — a rather unnerving term, but one that sums up this situation nicely. I dare say that this is more of a fall ale than a true pumpkin product. It’s made with pureed pumpkin, and the flavoring is subtle — it tastes sweet, not “sweetened” — but pretty much anyone could grab one of these, nurse it for an hour, and be surprised afterward to hear this beer’s name. Points awarded, Smuttynose, for not turning over the show to the pumpkin… But the taste dial’s turned down a little too low. I’m baffled by this one. It’s somehow floral and a little too syrupy at the same time. The word “soapy,” I’m afraid, comes to mind. The overall impression is of a beer brewed by someone who had never seen or used a pumpkin before who received instructions over the phone. If I focus, I can taste the outlines of the pumpkin concept. But this one needs some serious fine tuning. This ale is brewed with pumpkin and spices, then aged in rum barrels with vanilla beans. Two Roads calls it a “scary good seasonal.” I love this brewery, but I wouldn’t go that far. The push to put an inventive spin on things is admirable — pumpkin should show up more often alongside good, authentic vanilla flavor — but I can’t really see the point of it here. The effect is a bit muddled, like there are two desserts in this bottle fighting for dominance. Maybe I’ll swing by next year to see what comes out on top.